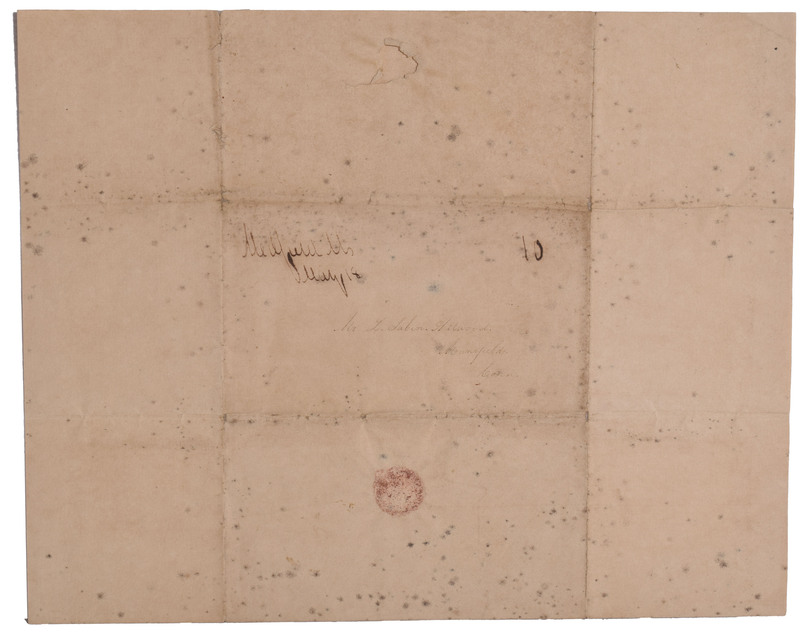 The letters start in 1843 and are as shown, mostly fair to poor condition due to fading of ink.Thier are 3 letters in collection, although quite rare and intresting content. May 17,1843 from Medfield, Mass. 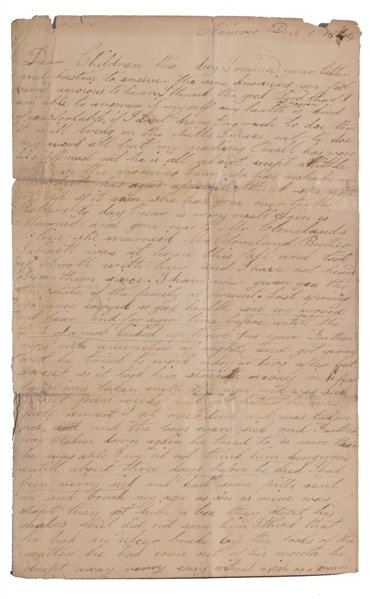 To L. Sabin Atwood, Mansfield, Conn from" your true friend R.H.B." 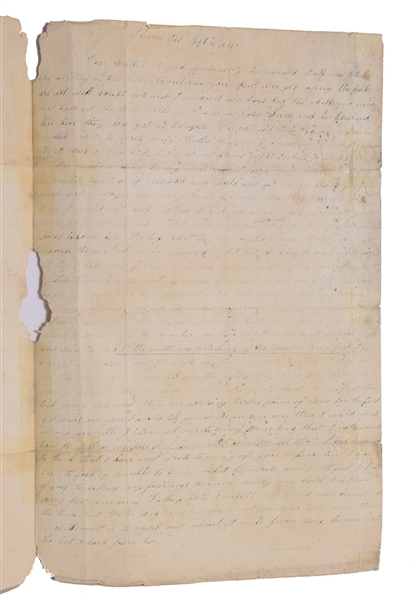 General content Quite aged but readable. 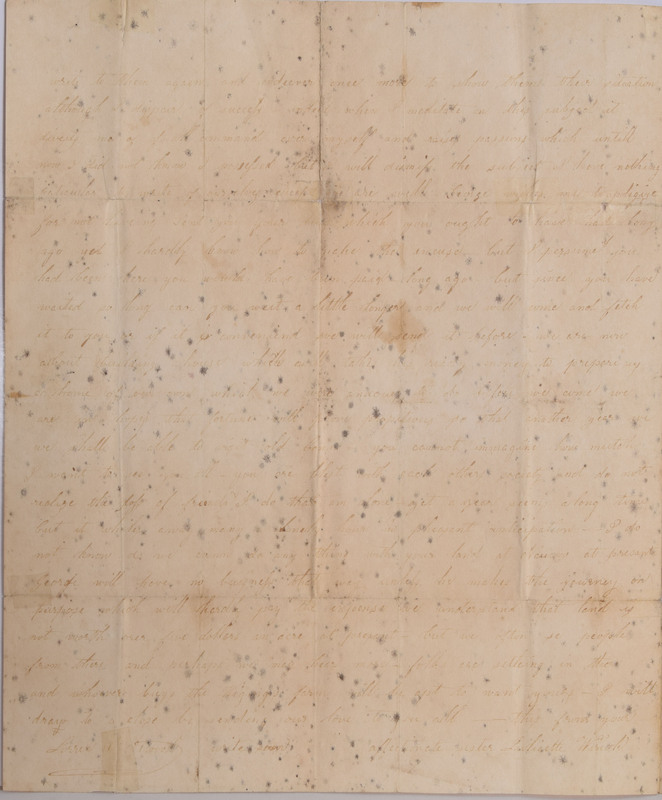 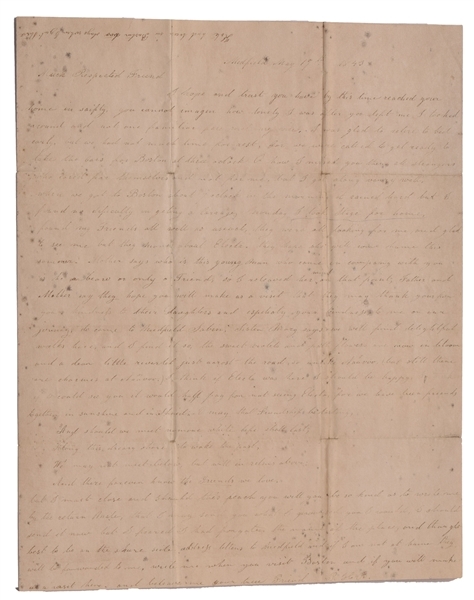 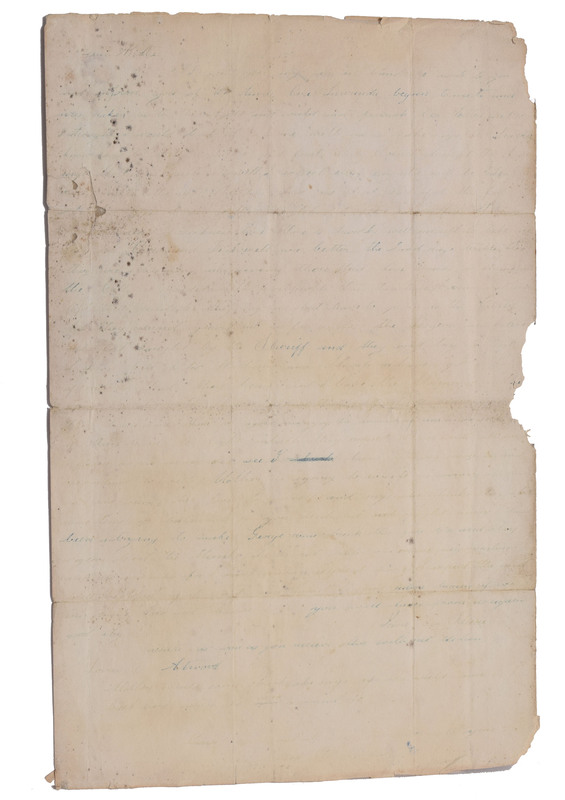 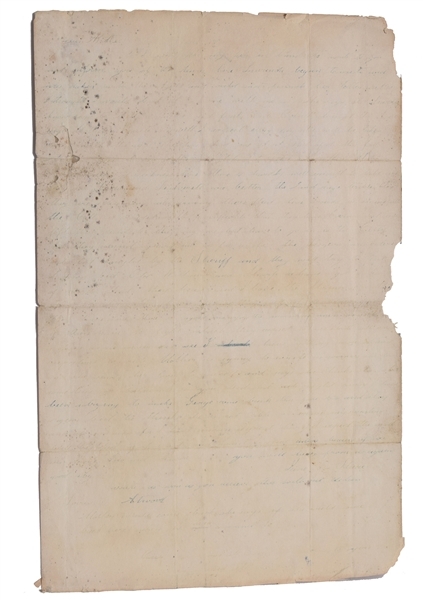 Written Dec 1-3, 1844 Nauvoo, 4 pgs 7-l/2x12" quite aged but legible throughout, signed Anna Atwood and George Macen Sabin Atwood, addressed to Lorence Atwood, Mansfield Center, Conn. General contents' re health, weather, deaths" as for the mob I was not afraid of them and thar driving us from Nauvoo"
Nauvoo, Sept 18, 1845 4 pgs, 7-1/2x12" very aged "the Saints are finishing of the Temple verry fast" ... it is likely that much of the letter can be deciphered tho extremely worn and faded. 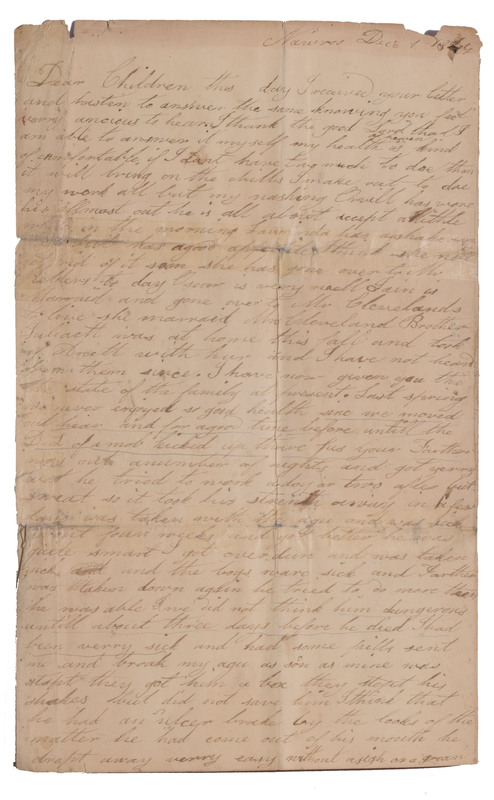 Atwood correspondence. 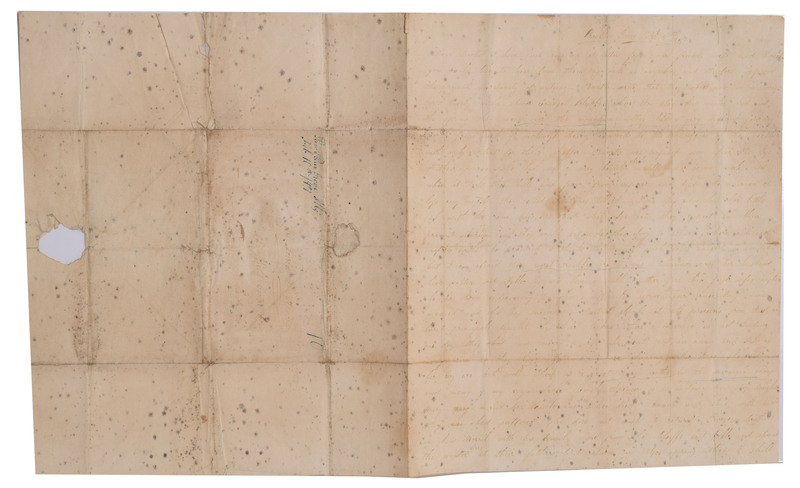 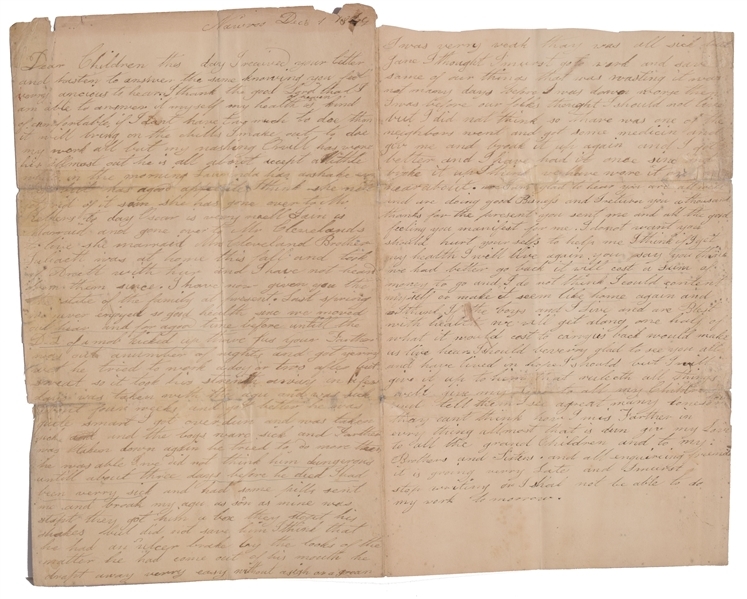 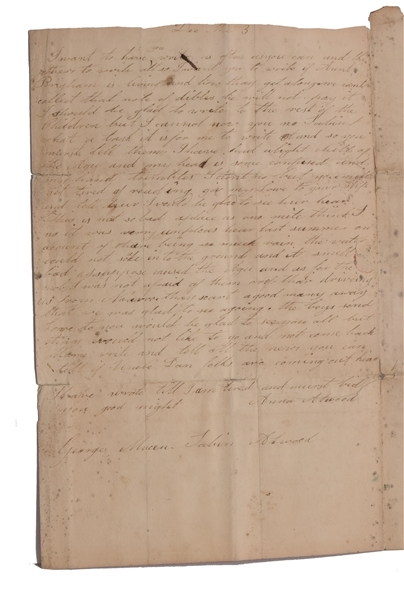 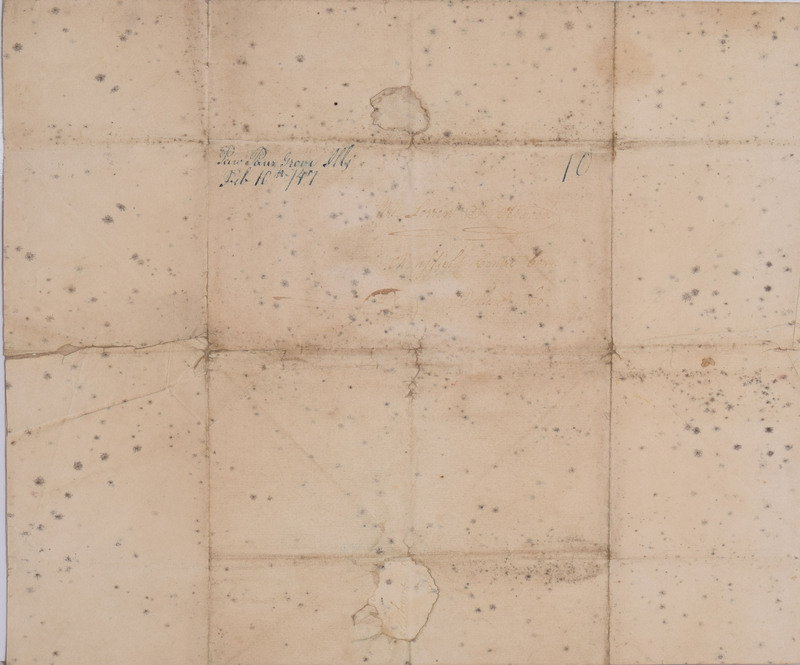 Paw Paw Grove, Ills/ Feb. 10, 1847 to Mr. Lorren S. Atwood, Mansfield Center, Conn.